I bring 20 years of experience and an authentic, approachable attitude to the tarot. My readings find their roots in solidifying the relationship between you, the cards, and spirit. I act as a communication channel to notice and express energies manifesting in your life, and what you can do about it all to be your happiest. Why choose me as your tarot reader? I have always been a witch, and I grew up in a Spiritualist home. I went to my first table-tipping and facilitated energy healing sessions before I hit puberty. I’ve been reading cards for nearly 20 years. My experience with magical and divination practice is infused with constant and diverse spirit listening. My mediumship primarily manifests in clairsentience (clear feeling) and claircognizance (clear knowing), with some clairaudience (clear hearing): all of this means I feel my mediumship in my body, primarily through physical sensation on my skin and in my muscles. My card reading always starts from this intuitive place, not from the dozens of tarot books I’ve read over the years (though those certainly haven’t hurt). My readings find their roots in solidifying the relationship between querent (that’s you! ), cards, spirit, and myself as a communication channel to notice and express energies manifesting in your life, and what you can do about it all to be your happiest self. I really believe that every tarot reader has a different perspective on reading the cards, and that all of these methods are valid. What matters is finding the right reader for you at a certain point in time. I may be the perfect reader for you this week! Maybe next year someone else’s vibes may mesh with your wavelength a little more. Who knows, maybe we’ll just get each other. It’s all good. I don’t pretend to have a monopoly on understanding the One Way of the tarot. Follow your intuition. There is some spectacular magic that can happen when you follow your bliss and your gut and find a reader who connects with your spirits and your energies and your concerns at just the right time. Tarot reading is, for me, a truly intuitive and collaborative experience. 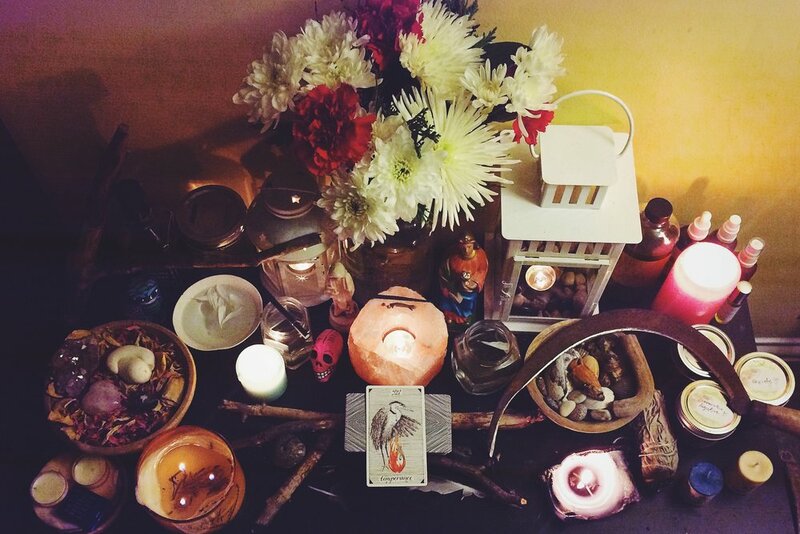 I love flowing with the different energies that clients bring to a reading. I always hope to facilitate strong connection, breakthrough, and clarity. In the interest of making healing and spiritual clarity through tarot more financially accessible, I am offering tarot readings on a sliding scale on a selective basis. If this is an option you feel you require at this point in time, please contact me via email and we can discuss how I can best support making this service accessible for you. Instead of arranging my prices based on how many cards we draw together or what spread we use, I arrange my pricing based on how much time we spend together. This leaves space for the reading to really open up and meet your needs – which may change, as our session moves along! What starts off as a three-card reading, looking at one general question, can get more complicated and nuanced depending what cards emerge and what further questions those cards stir up in you. Based on what cards we draw and how they relate to your inquiry, you may wish to shift focus within the reading: we can either draw more cards for clarity, or spend a lot of time unpacking just one. More cards doesn’t always mean more useful information. I offer sessions in person in Toronto. We can have a session at a cafe, over a drink, or somewhere more private (my place or yours)! I know everyone has a different type of space that helps them feel more comfortable. Or, if mobility or distance is an issue, I’m happy to Skype, and regularly work with clients all over the world (including India, Australia, USA, UK)! If you’re interested in booking, please browse over to my Online Appointment Booking System! Let me help you make the most out of our time together! Before our session, I ask you to please spend some time connecting to your heart and your body, so we can really work together on addressing your most pressing concerns. Calm your mind and body, if you can, and move forward with an open mind and heart, without blocking off any potential avenues for action and growth without fully exploring it and giving it a chance. Try to make a short-list of priority topics. A tarot reading can offer insight on any area of life, including classics like employment, love, and family; but we can also consult the tarot about community organizing, self-care, self-love, artistic process, and chosen family. If you’re not sure how to formulate the best questions, I can help you during our session. However, in order to get the biggest bang for your buck, I’d suggest coming prepared with a few open-ended questions (i.e. : not of the yes-or-no variety). Some inspiration: What do I need to know about _ right now? What do I need to keep in mind when addressing _ this week/month/year? What type of attitude and perspective is necessary on my part to achieve a positive and healthy experience in relation to _? I also ask that, together, we respect the cards, the spirits, and the process of mutual creation and discovery that happens within a tarot reading. The cards may not tell you what you want to hear, and I may not either! Tarot does not always pad our egos. Tarot can tell us where we fucked up, and what we’ve done well. I ask that you enter into this process with me with an open heart, an open mind, and an understanding that in my practice my methodology is one of intuition and of love and collaboration. Whatever I share with you from the cards and the spirits comes from a place of true belief that we can all be better, and that you have the tools you need to understand and change your situation with increased clarity. Cultivating reflexivity and self-understanding is an important part of transformation – and the tarot is really great at helping to push this process along! Something else to consider: please take the reading process seriously! Please don’t waste my time, your time, or the time and effort of our spirits and guides. If you’re going to book a reading, please don’t disrespect the process or what emerges as we work together. Tarot does not always tell you exactly what you want to hear! I am a queer identified non binary femme and have experience with trauma and different forms of disability and chronic illness. All of the work that I do, including my tarot readings, is invigorated by a fierce anti-oppressive ethic and I strive to fight sexism, racism, colonialism, misogyny, transphobia, homophobia, fatphobia, ableism, white supremacy, and cis supremacy in all that I do. Your readings with me are strictly confidential; I will not share your deets with anyone. I will never push one solution on you. I will never act as though I know more about your situation than you do. I will not act as though your future is set in stone. Instead, I will work with you to notice the energies (both flowing and blocked) in your life, as shown to us by the cards, and work with you to make a plan to face it all head-on and with renewed sense of self-knowledge, self-affirmation, self-love, and confidence. My practice is focused on noticing the magic within mundane life and sharing that magic with you. If you have any input to how I can make my readings more accessible, please let me know!